How many bandanna headbands do you have? Probably tens of them, or none at all. But do you know the origin of this kerchief-like clothing? Well, bandannas are believed to have their origin as an innovation to support people suffering from cancer. You might be wondering how? Cancer patients go through a chain of treatments. You definitely have heard of the chemotherapy treatment where their heads are clean shaven. The shave is necessary since the notorious treatment often leads to massive hair loss. As a result, a head covering is a must have for most patients. And this is how the bandannas came about. To date, bandanas are still used to support cancer patients every October during the International bandanna day. As the world commemorates the day this year, it would be of benefit to grab a bandanna and rock it stylishly. It matters less how you wear it, but ensure it’s in an open place where everyone can easily notice. Well, most people love wearing bandanas on the head, but there are other ways to look stylish in this piece of clothing. Take an eye on these inspirations. Who would have thought Bandannas can be worn as a pocket beauty? Although pocket squares are mostly associated with men, the bandanna pocket is unisex. Unknown to many, the bandana pocket square came into existence back in the 70’s. In fact, taking a close look at your mother’s or aunt’s pictures then, you will spot her wearing a checked shirt probably tucked into high-waisted jeans and a well-folded bandana sticking out of her back pocket. The trend is slowly having a comeback. The young generation seems to be the most enthusiasts of this trending style, but that doesn’t restrict any other person from rocking the bandanna pocket. 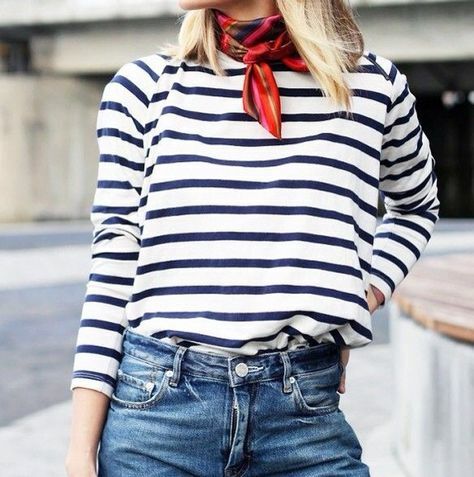 For an appealing look, you start by folding the bandana into a neat rectangular or triangular shape and then gently tuck it into the back pocket with only a small part peeping out. Some teens, however, find it trendier just tucking the bandana without folding it neatly. Well, whichever way excites you, ensure the bandana is visible to all who spot you. Even better, men can use the bandana as a nice pocket square on their coats with a stylish suit from Neiman Marcus when attending a not-so-formal occasion. Wearing a bandana around your leg is charming and presents a casual look to both men and women. Rocking an ankle bandana is however daring and not for the faint hearted. That explains why just a few people clad it this way. The attire goes well with a pair of blue jeans especially if you don’t want to look too ordinary. However, be sure to turn up the bottoms of the jeans so as to expose the bandanna details. For the ladies, the bandanna is a perfect match for a high-low dress available at Haute Look or any other attire that exposes your legs at least up to knee length. 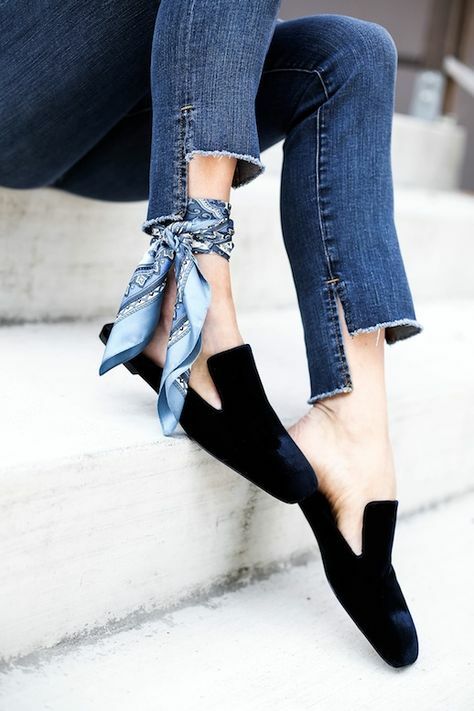 You can as well tie it around your skinny jeans with the ends on the outside. The deal is, ensure the details of the bandana are well exposed without compromising your other outfit. What normally make most of your wrist beauty? In most cases, it’s a wrist watch and pack of bangles and bracelets. 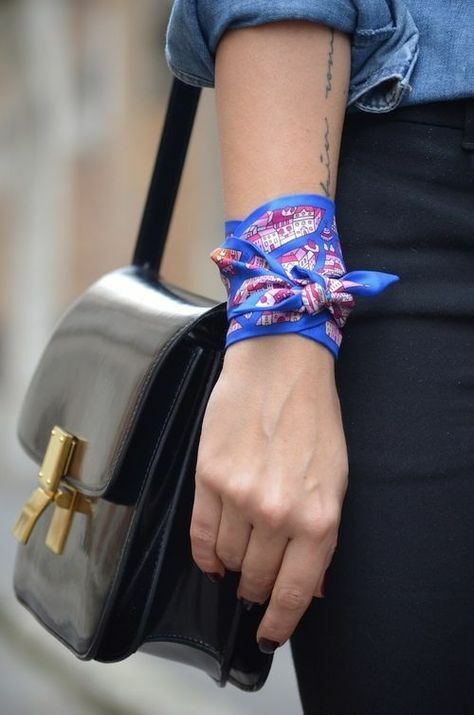 Do you know that a bandanna can be a great accessory for the wrist? Well, it’s a modern trend that seems to be gaining popularity. The best part is that the bandanna does not require professional to tie the bandanna neatly before wearing. You simply need to tie it to your liking. One trick to note is that Turtleneck the bandanna color you opt for should go well with your attire for the day. For a more appealing look, wear the bandanna with your mish-mash bangles, bracelets or even your wristwatch. In the case where you have a cuff that appears too big, you can just slide it over the bandanna for extra pudding. For ladies, you can also opt for bandanas on your upper arms with strapless gowns and dresses available at Neiman Marcus. Just ensure the bandanna colors do not mismatch with your outfit. Are you wondering how to accessorize yourself when wearing a high collared shirt? A bandanna could be your savior. You simply need to neatly tie the bandanna and then fix it on your neck to achieve a turtle tie effect. The best part with wearing a bandanna this way it’s because of its light weight and therefore not too hot on your neck area. For a fantastic look, consider rocking a bright color if your shirt is dark and a dull bandanna for a bright outfit. Turtlenecks are not only stylish but they also complement ones look in the place of neckpieces. Everybody has a bad day hair at any given time. However, pulling a stylish look with a simple hair accessory like a bandanna brushes off the embarrassment. You simply need to tie the bandanna on the head to your preferred style. For a perfect look, play with color and patterns of the bandanna to match your outfit. To tie the bandana, fold it lengthwise into a long rectangle. Then wrap it around your head to the bandana hairstyle of your choice. If you instead want to accessorize your ponytail, then the bandanna could make a perfect hair band. Just browse a wide range of bandannas available at Urban Outfitters and pick your choice. Bandanas are undoubtedly a fashion trend that has gained a comeback in the modern fashion styles. Contrary to the popular bandanna headband, there are many other ways to rock bandannas and remain stylish. The fact that celebrities have also embraced this trend makes it a must have for you this season. If you wish to upgrade your wardrobe with a variety of bandannas or other outfits to compliment your look, then head to the highlighted stores above. It will be more fulfilling if you could use our coupon deals to get amazing discounts as you purchase the items.